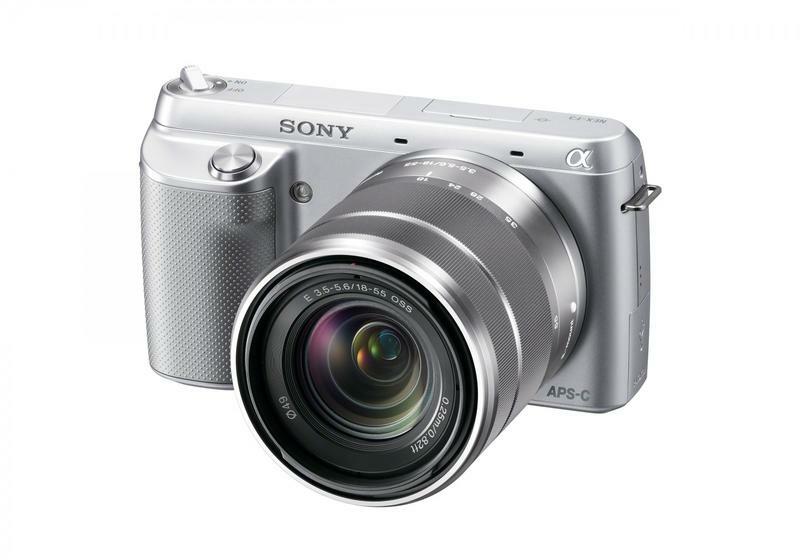 Today Sony announced the Alpha NEX-F3, an entry-level model that joins the company’s mirrorless family. 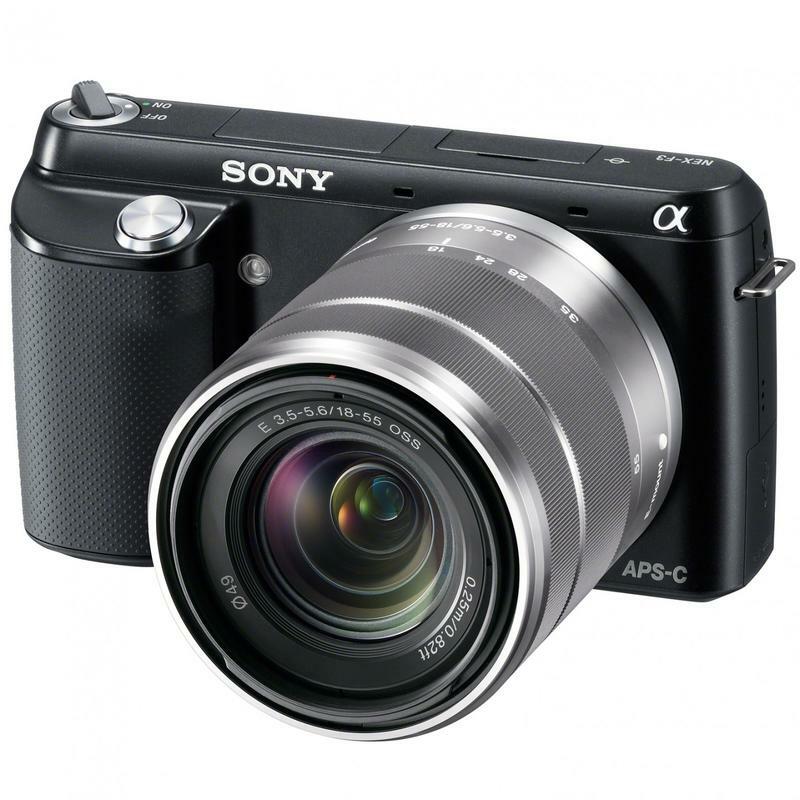 Think of the new Sony Alpha NEX-F3 as a watered down version of the popular NEX-5N and NEX-7 cameras, as it still retains an APS-C sized sensor and Sony’s E-mount interchangeable lens system. 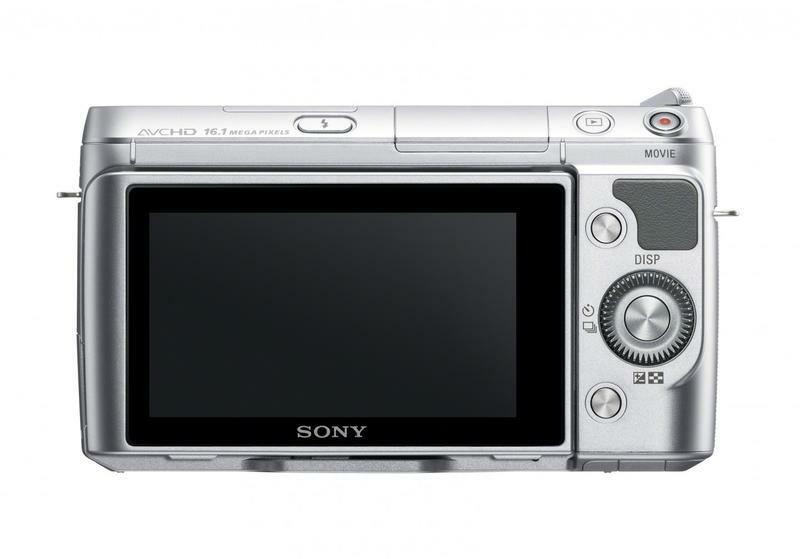 The Sony Alpha NEX-F3 will be available in black or white this June for $600 with an 18-55mm kit zoom lens. 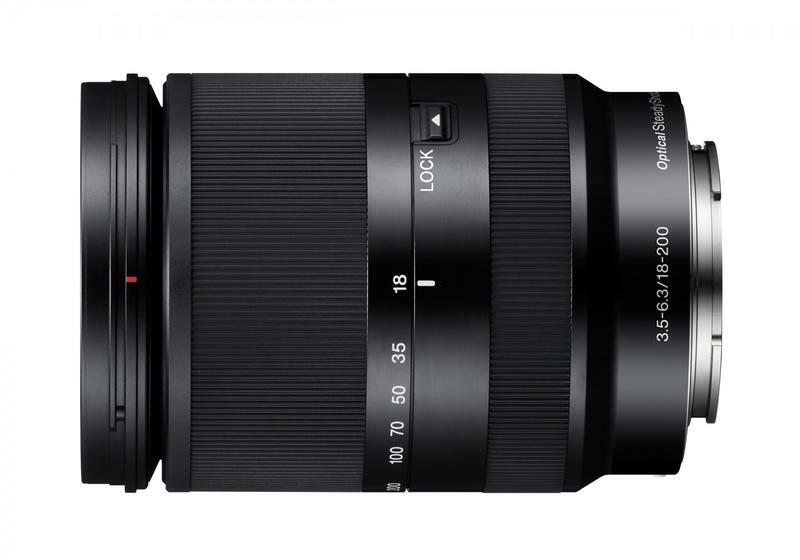 Sony also announced a compatible E-mount lens alongside the NEX-F3. The SEL18200LE E18-200mm F3.5-6.3 OSS LE telezoom lens offers an 11x zoom range and features Optical SteadyShot and Direct Manual Focus. The SEL18200LE lens will retail for about $850 and should ship this July. 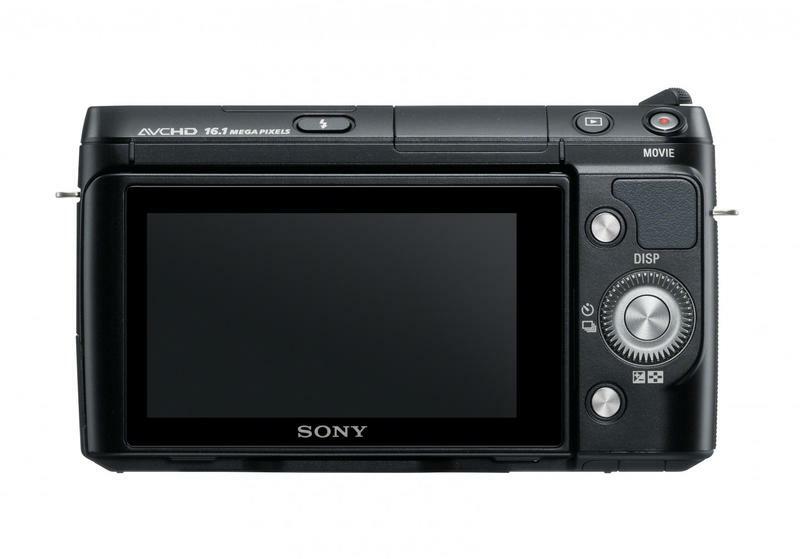 SAN DIEGO, May 16, 2012 – Sony’s α NEX-F3 digital camera delivers professional quality photos with a compact, pocket-sized body, allowing consumers to explore the creative world of high-quality, interchangeable lens photography in a refreshingly fun and entertaining way. 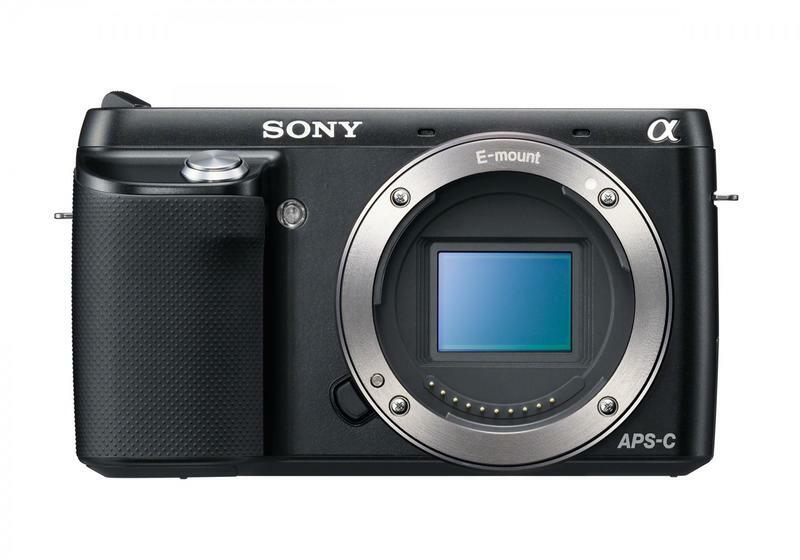 The new NEX-F3 camera features the same space-saving mirrorless design as other models in Sony’s E-mount family as well as an advanced, 16.1 effective megapixel Exmor™ APS HD CMOS sensor, identical in size to sensors found in traditional DSLR cameras. The large sensor takes in more light during image capture, resulting in flawless, low-noise photographs and crisply detailed Full HD videos (60i/24p). Photographers can also easily create images with beautiful defocus effects, where the subject is focused sharply against a smoothly blurred background. The NEX-F3 camera adds a whole new perspective to self-portraits with a 180° Tiltable LCD screen, a first for Sony’s E-mount camera line. 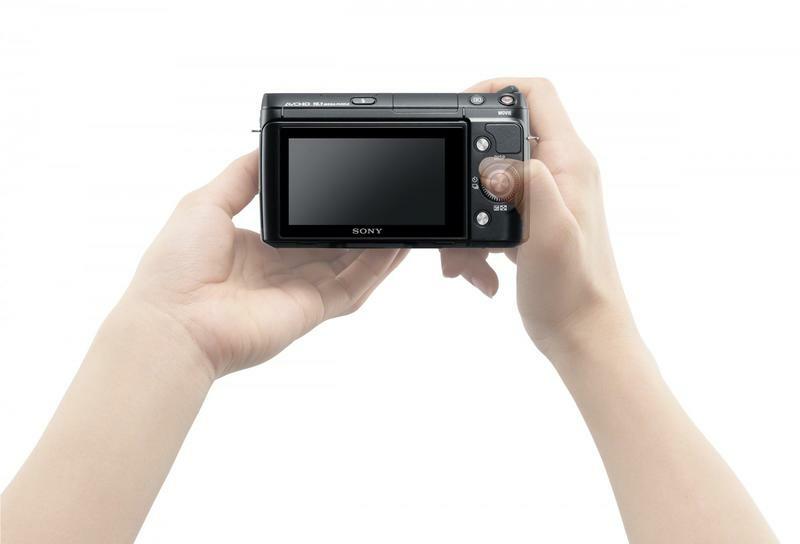 By simply holding the camera at arm’s length and flipping the LCD screen vertically, users can adjust the on-screen preview image and properly frame photos. 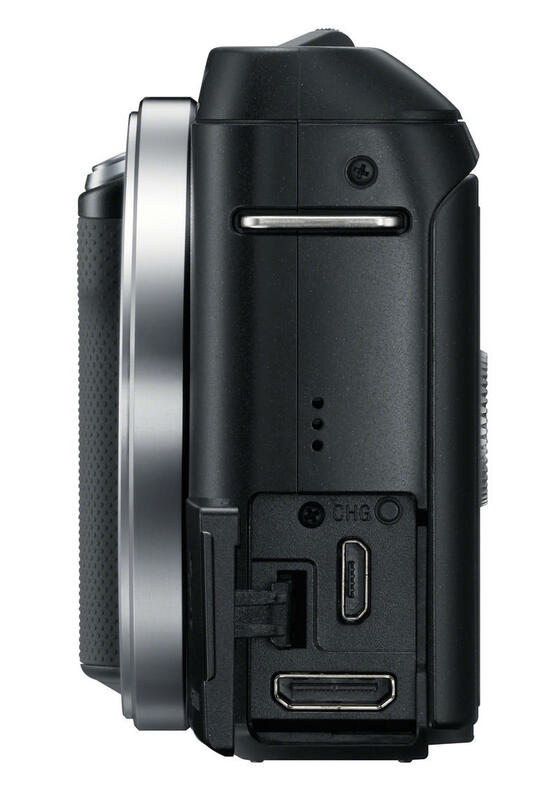 Additionally, the new model features a useful built-in flash to broaden shooting options indoors or in low light situations. 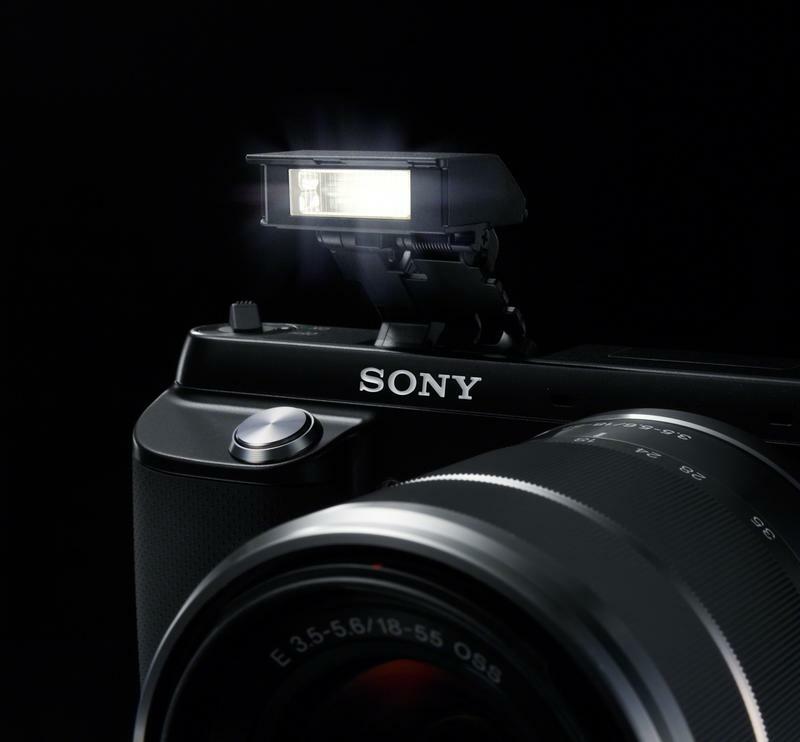 Already introduced on Sony’s acclaimed NEX-7 camera, this pop-up flash handily brightens portraits and other shots without the need to carry an additional flash accessory. The new NEX-F3 camera also includes the new Auto Portrait Framing feature for creating top-quality portraits quickly and easily. This innovative feature identifies a subject’s position in a composed image, and follows the “rule of thirds” to trim the scene appropriately around the subject’s face, creating a beautifully composed portrait. The cropped portrait is then boosted to full resolution using Sony’s unique By Pixel Super Resolution technology, which uses pattern matching to maintain superb image detail, tones and textures in the photo. Both the original and cropped image files are saved for review. By Pixel Super Resolution Technology is also used for the “Clear Image Zoom” feature, which digitally doubles the effective magnification of any lens attached to the camera. 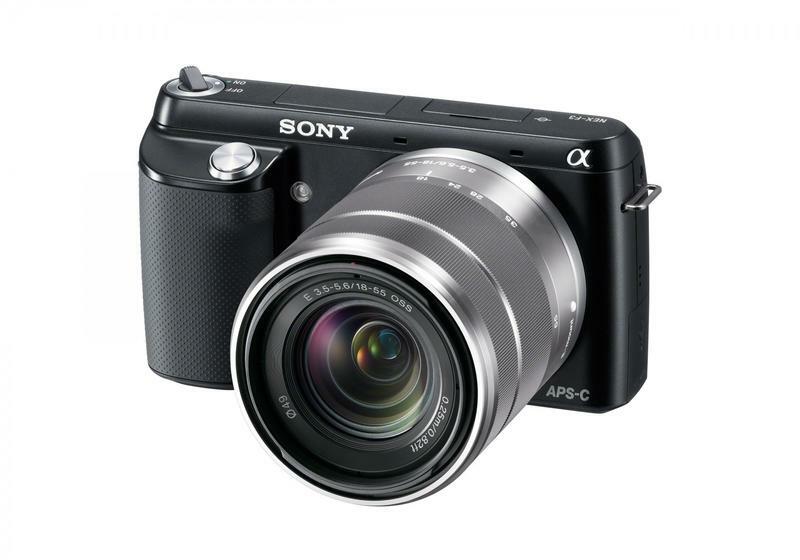 Ideal for travel and everyday shooting, it’s a great way to boost maximum focal length without carrying extra hardware. 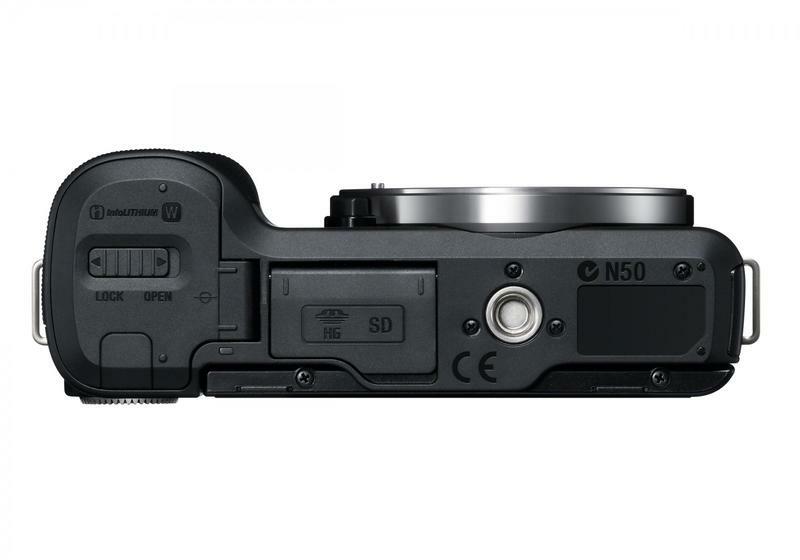 Other convenient essentials added to the new NEX-F3 camera include the Superior Auto mode, which intelligently recognizes a wide range of scenes and subjects and adjusts settings automatically. 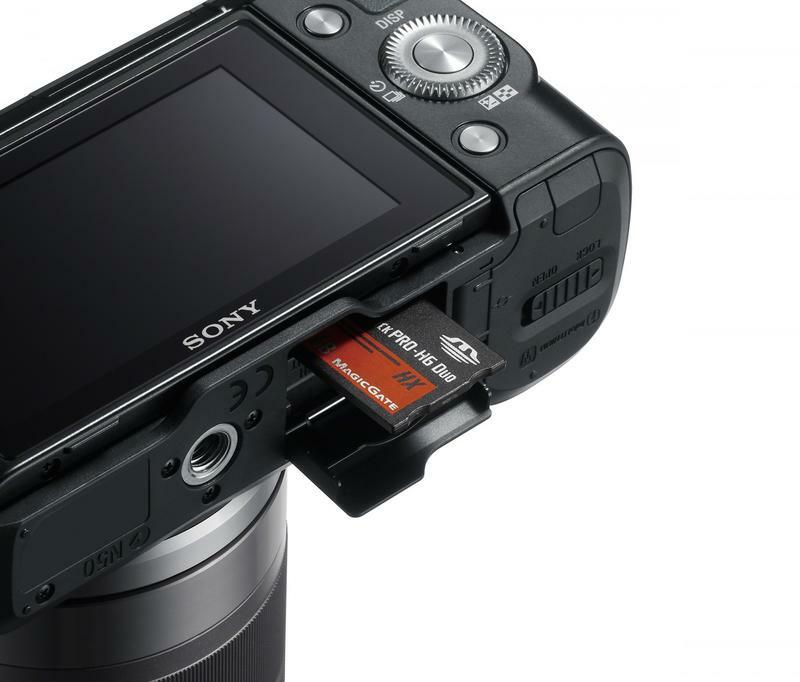 Battery stamina has been boosted to an industry-leading 470 shots (approx.) 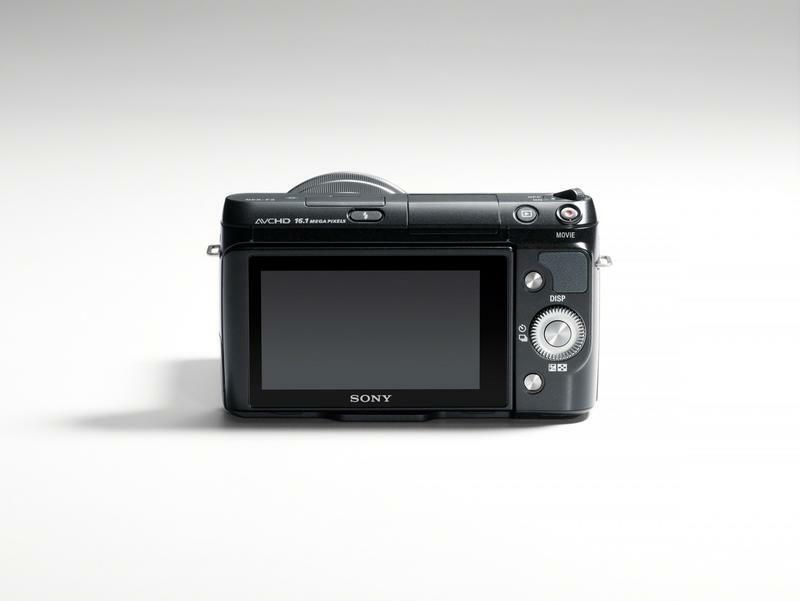 on a single charge – an approximate 18% improvement over its predecessor, the NEX-C3 model. 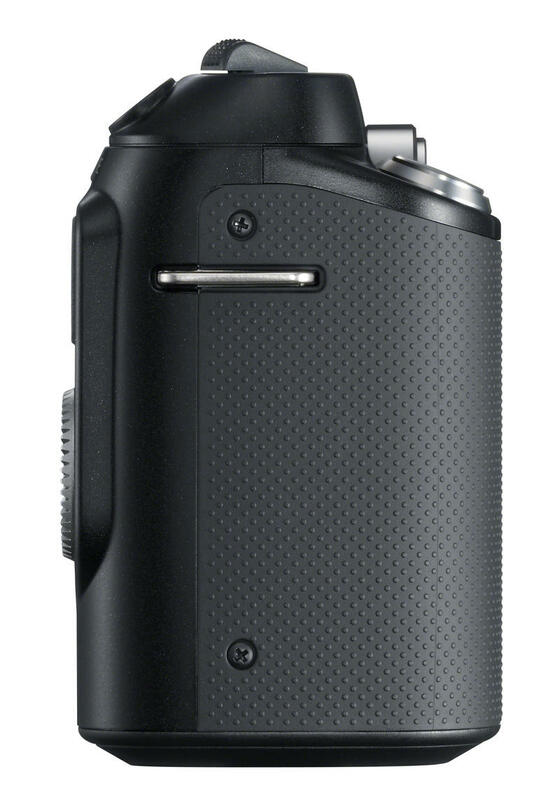 The camera is compatible with the FDA-EV1S viewfinder accessory (sold separately), which offers a high-contrast, high-resolution OLED viewfinder display and a wide viewing angle. 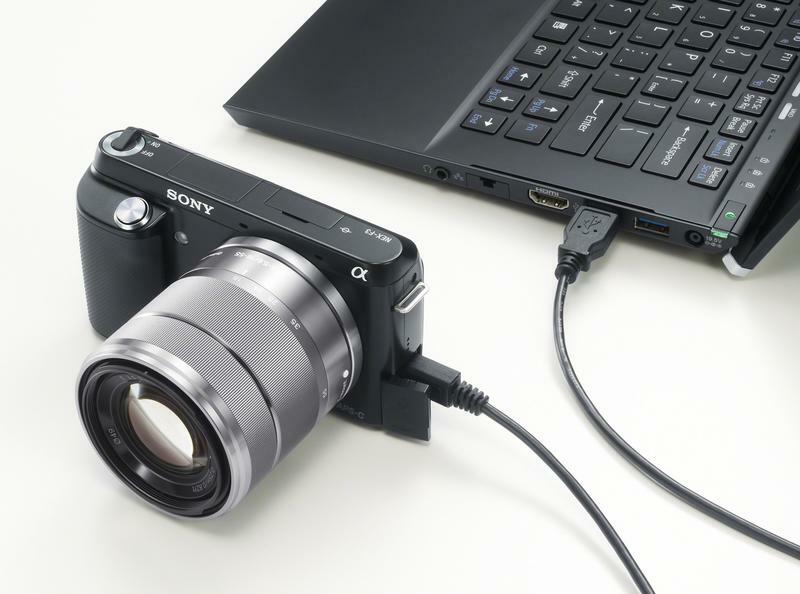 The NEX-F3 model also features a high-quality, premium-feel grip for more comfortable handling and can be charged via either USB or a standard AC outlet. 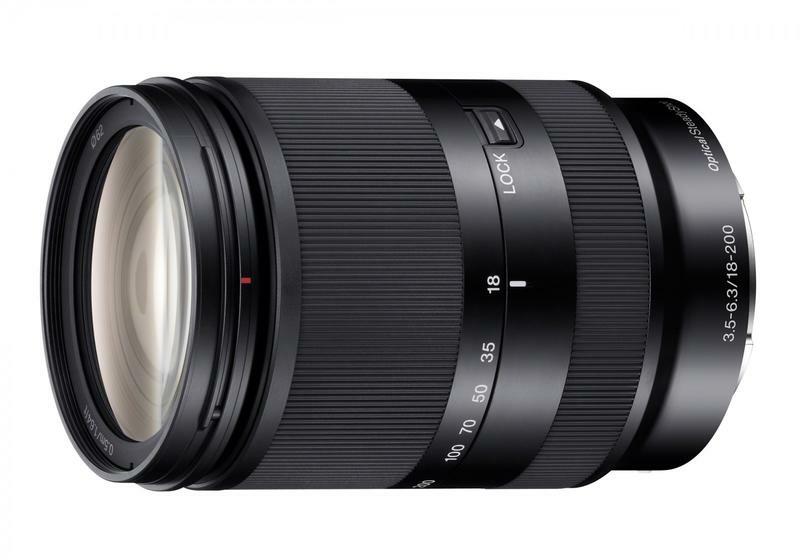 An ideal travel partner for the NEX-F3 camera, the new SEL18200LE E18-200mm F3.5-6.3 OSS LE telezoom lens offers a powerful 11x zoom range and superb resolution in an easy-to-carry package. Smaller and 12% lighter than the SEL18200 lens, the new E-mount model features Optical SteadyShot to compensate for the effects of hand-shake. It also features Direct Manual Focus to give users precise control over focus settings, resulting in crisp, beautiful images. 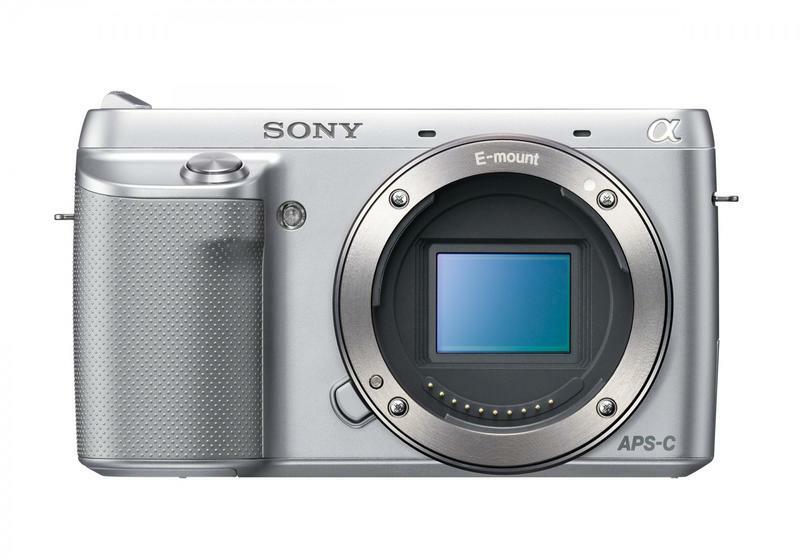 The new NEX-F3 compact digital camera will be available this June in silver, black and white with an 18-55mm kit zoom lens (model SEL1855) for about $600. The new SEL18200LE telezoom lens will be available this July in black for about $850. The camera kit, new lens and a variety of compatible accessories including the LCS-EJC3 carrying case, STP-XSG1 shoulder strap and STP-WS2 wrist strap will be available at Sony retail stores (www.store.sony.com) and other authorized dealers nationwide.